Happy National Engineer’s Week! Each year, the week that encompasses George Washington’s birthday, February 22nd, is designated for honoring engineers and their immeasurable contributions to society. Maybe you’d like to encourage your child to pursue an engineering degree, but he or she isn’t particularly excited about the prospect of being tied to a computer, solving math problems for eight hours a day. After all, most perceptions of what an engineer looks like involve mountains of eraser dust and very little sunlight. Good news! Not only have engineering jobs grown by 7% in the past 6 years, meaning there’s a good chance your child will have a career waiting for them when they graduate, but getting a degree in engineering opens doors to jobs you’d never imagine would fall under that elusive “E” section of STEM (science, technology, engineering, and math). Here are 17 cool, unique, fun, and very real careers your child can pursue with an engineering degree. Does your child have a need for speed? Or love chasing checkered flags? If so, working as a race engineer could be right on track. 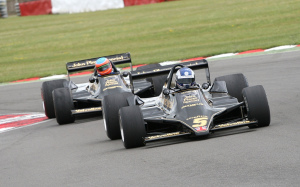 Race engineers set out to achieve the absolute best performance possible from their racer and the racecar itself. Their job covers everything from perfecting the aerodynamics of the car, to running lap simulations, to analyzing the data from those simulations, to being the driver’s right-hand, to managing a team of mechanics. This fun gig involves mechanical engineering, automotive engineering, math, and physics, as well as 21st century skills like strong interpersonal communication and collaboration. It’s a multifaceted and (literally!) fast-paced way to get as close to racing as possible without actually wearing the helmet. One of the most common answers children give when asked what they want to be when they grow up is “astronaut.” But what about working for NASA with both feet firmly planted on Earth? 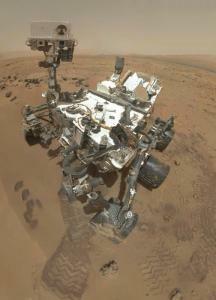 Curiosity, NASA’s “monster truck on Mars,” is a mobile laboratory currently exploring the red planet’s surface. A group of engineers and programmers are tasked with keeping Curiosity on target and moving safely from more than 100 million miles away. You may think driving the rover is like playing a video game, but it actually requires thousands of lines of code. How cool is it to think about driving a robot across millions of miles of space? A degree in engineering could get you there. Closer to home, those blue-shirted folks in Apple Stores all over the world are engineers, too. Apple Geniuses are the highest level of retail techies, the ones who focus exclusively on fixing Macs. You may think that working in retail wouldn’t need an engineering degree, and maybe it’s just where your child starts their technology career, but Apple doesn’t hire just anyone. A rigorous application and interview process screens candidates so only the best make it into stores to rep the Apple brand. Plus, being an Apple Genius is perfect for engineers who like interacting with and meeting new people. The American Society of Mechanical Engineers defines entertainment engineers as those who “create mechanical and structural systems for scenic and entertainment staging, theatrical facilities, theme parks, and all kinds of performances.” Giant revolving Cirque du Soleil stage? Check. Building the intricate sets for the next Hollywood blockbuster? You got it. Designing live shows for big-name rock stars like Taylor Swift and U2? All possible with a background in entertainment engineering. While various degrees are applicable in this field, the University of Nevada, Las Vegas also offers a specialized Bachelor of Science in Entertainment Engineering and Design. Photonics is the science of using light to create energy or detect and transmit information. This job can involve doing anything from designing the laser tools used in precise heart or eye surgeries, to developing fiber optics to transmit information around the world, to designing LED-based car headlights. Various engineering degrees can pave the way to a career in photonics engineering. Related to photonics, nanotechnology engineering (also known as nanoengineering) involves learning “new things that can change the face of health, science, technology, and the environment, on a molecular level.” Nanoengineers can work in the medical field, forensics, or even environmental jobs (like creating new ways to test for pollutants). Nanotechnology is at the front of many recent scientific discoveries, so the possibilities of where your child can take this career are almost endless, but a Ph.D. in Biophysics, Bioengineering, Chemical Engineering, Mechanical Engineering, or Electrical Engineering is a good start. Okay, so this one is more about being a food engineer, but either way, it’s a cool job title. You’d be surprised how much science and engineering goes into making candy. How do you keep it fresh from creation to consumer? 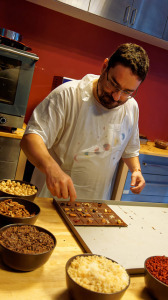 In what portions should you add nougat to the chocolate? How do you turn a bag of potatoes into potato chips in 20 minutes or less? 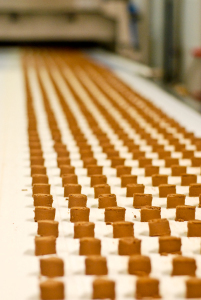 What about the temperature sensors and other technology used in the industrial side of candy and food creation? Engineers have a hand in all of those processes. Plus you get to taste-test your work. Ever wonder how the golf courses and football fields in EA Sports video games get so accurate? It’s someone’s job to make them that way! Being an environmental scanner involves traveling the world and 3D scanning real, physical fields with a device called a FARO scanner, which captures sports fields, tracks, and more with incredible accuracy. Those scans then get digitally pieced together with photographs to create the most realistic playing experience possible for gamers. Does your child love world travel, 3D technology, and video games? Engineering can get them a job combining all those things. 3D printing is arguably one of the most popular new technologies in the STEM industry, and it’s changing our world. 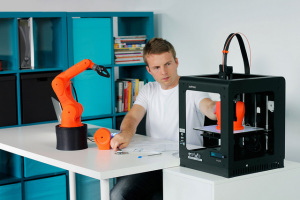 While there are few degrees specifically geared towards 3D printing, applicable programs include Materials & Chemical Science, Mechanical Engineering, Electronic Engineering, Civil Engineering, and Industrial Design. Forbes says, “35% of all ads posted for engineering jobs... prioritize 3D printing and additive manufacturing as the most sought-after skill.” You can even get a head start this summer by enrolling in one of iD Tech’s 3D printing courses! Is your little one a blossoming environmentalist? Perhaps they love digging around in the dirt or organizing the potted plants on the porch. Landscape engineers, also known as landscape architects, are responsible for designing outdoor spaces that are both pleasant and eco-friendly, like parks, campuses, and golf courses. They also create plans to revive areas like national forests or wetlands. And just in case that sounds a little more like outdoors and a little less like engineer, landscape engineers need a variety of skills for their job, like calculating angles for pathways, determining volume for the amount of soil needed to fill a space, reading and contouring maps, and translating 2D images into 3D spaces. If you constantly find yourself stepping on the LEGOs your little builder has left lying around the living room, perhaps a career as a LEGO designer is the right place for your child. (And before that, perhaps a LEGO robotics summer camp!) In addition to using engineering to create new LEGO sets, designers can use art skills to invent original characters, and some even get paid to literally sit and build with LEGOs. Sound fun? It’s also highly competitive. But with ingenuity and a degree in engineering, it’s well within reach. Combining the worlds of sports and technology, sports engineers are concerned with improving the tools athletes use every day. This job is versatile, meaning your child can do anything from studying how the stitches in footballs affect aerodynamics to improving mountain bike suspension to creating the perfect track for runners. To become a sports engineer, they can start with a background in various engineering disciplines, then specialize in sports engineering later on. 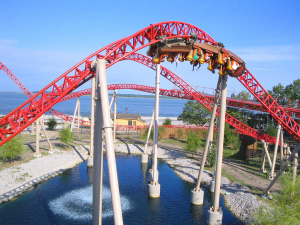 Theme parks all over the world utilize roller coasters to keep their patrons screaming with joy. And it’s someone’s job to design them, from choosing the right environment to placing the track itself to analyzing the speed and weight of the cars, all with guest’s enjoyment and safety in mind. 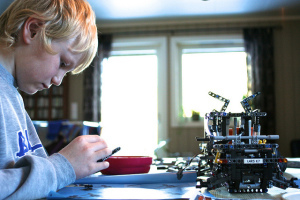 Mechanical, structural, civil, and electrical engineering all play a part in this career, so your child has multiple paths to creating those adrenaline-fueled joyrides. The best part? Getting to test the new coasters is part of the job description. 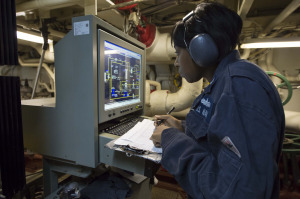 Marine engineer and naval architect careers go hand-in-hand. Marine engineers design, construct, and maintain ships and structures in and around water, paying attention to the internal systems of the ships, like propulsion. Naval architects are more focused on the physical structure of the ship, like hull design. Jobs in these fields are projected to grow by 9% over the next eight years, so if your child can’t get enough of boats, perhaps turning their nautical passion into a career via engineering is the way to go. Are you constantly telling your child not to skateboard in the house? Those rolling wooden contraptions could actually pave the way to a career in engineering. Skateparks, the concrete playgrounds full of dips and valleys where ‘boarders perform their astounding aerial feats, need someone to design them. While there is no formal degree, a career designing skateparks uses physics, math, and yes, engineering. Skateboarding has been around since the ‘50s, and it’s not going away anytime soon, so let your child channel their inner Tony Hawk with a practical application of their pastime. Ever since the movie Twister made the profession famous in 1996, many have dreamed of being a storm or tornado chaser. The reality of such a job is much less dangerous, but no less exciting. A storm tracker’s primary responsibility is to gather data on meteorological events, keeping tabs on hurricanes, tornadoes, and more, and especially trying to predict them. You can bet that involves engineering and math, as well as computer science. Some storm trackers actually do physically chase storms, however, so if your child wishes playing in the rain came with more adrenaline, point them towards engineering in college first. Join us at camp to show your child how exciting engineering can be! Whether she wants to be a nanotechnology engineer or a landscape engineer or something entirely different, our engineering courses are great for learning the basics and fostering a true passion for technology. With age-specific engineering programs for students ages 6–18, our campers can learn to engineer robots, program with the Arduino Platform, create wearable electronics that come to life with lights and sensors, or collaborate to re-engineer a mechanical robot and fin-tune its coded instructions. Find a camp near you by heading to our list of over 150 locations.